Brazil is coming down hard on Chevron for the relatively modest oil spill that occurred last November when they lost control of a deepwater exploration well in the Frade field of the Campos Basin, about 75 miles offshore. A federal prosecutor just filed a lawsuit and criminal charges against Chevron and their drilling contractor Transocean. Seventeen executives of those companies have also been charged. 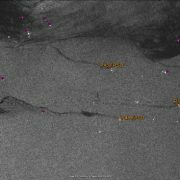 Detail from Envisat ASAR radar satellite image of Campos Basin off Brazil, taken March 20, 2012. Oil production platforms and FPOs indicated by colored dots. 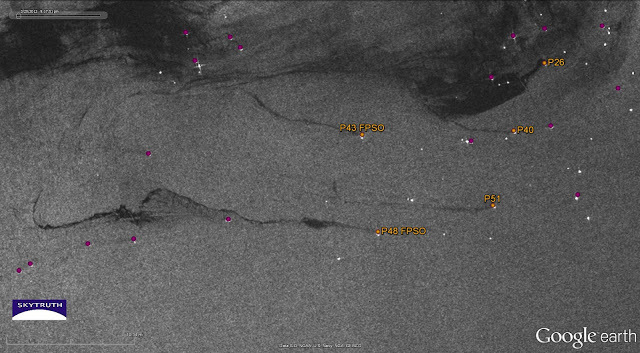 Possible oil slicks (dark streamers) appear to emanate from several facilities, shown in orange. Image courtesy European Space Agency. 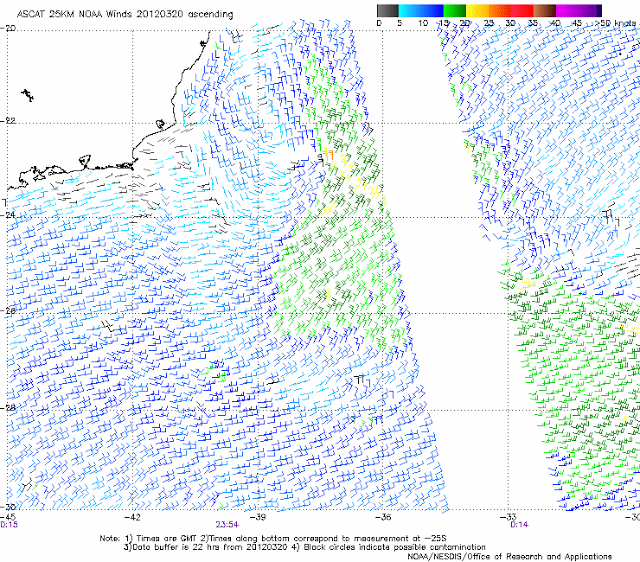 Surface wind speed and direction derived from satellite radar scatterometer data, offshore Brazil, at about 8 pm local time on March 20. Black flags indicate possible rainfall. 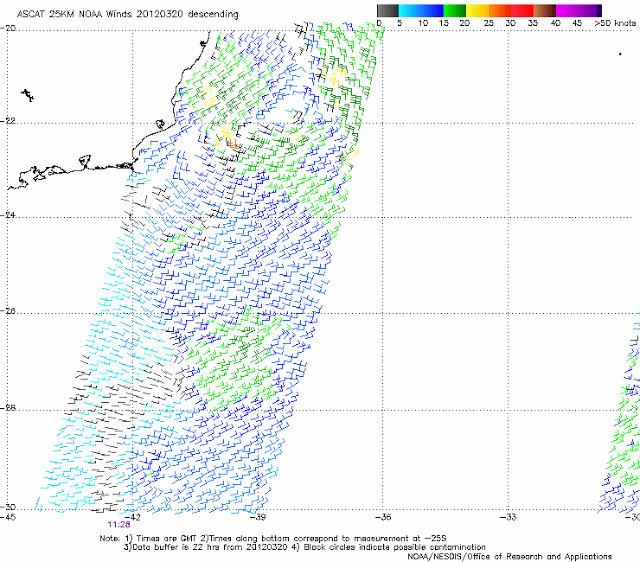 More images and maps after the jump…. 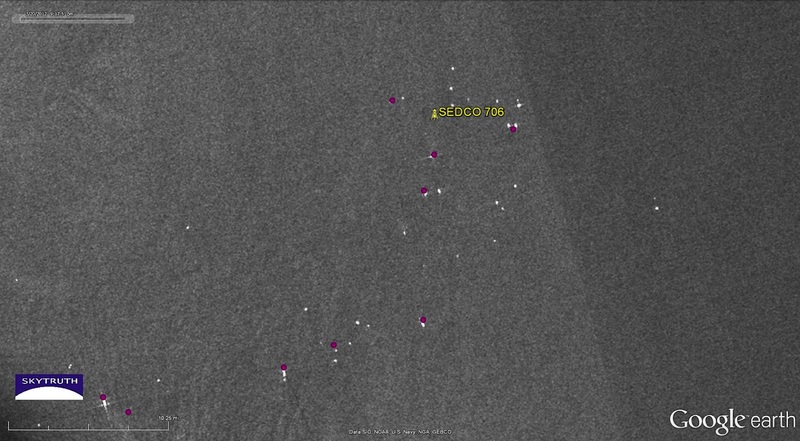 Detail from March 20, 2012 Envisat ASAR radar satellite image showing vicinity of Chevron’s November 2011 oil spill in the Frade field of the Campos Basin. No slicks are apparent in this area. Locations of production platforms and FPSOs are shown as colored dots. Image courtesy European Space Agency. Surface wind speed and direction at about 7:30 am local time on March 20, offshore Brazil. Black flags indicate possible rainfall.